Have a seat at one of table games and try your hand at popular Vegas-style card games like Blackjack, Texas Hold'em and Emperor's Challenge Pai Gow. Whether you're a new or seasoned player, you are sure to get lucky at All Star Casino. 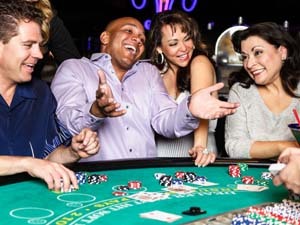 The fun and action are multiplied with daily match play coupons, high hand contests, and jackpots. Prizes and giveaways top off winnings during our customer appreciation events. Not sure how to play? Our friendly staff members are happy to show you how easy it is to play. Enjoy Your Favorite Table Games! Hit the Jackpot and Win Big! Get lucky and win big! Hit the jackpot hand and you're in the money. Some games offer bonus jackpots. 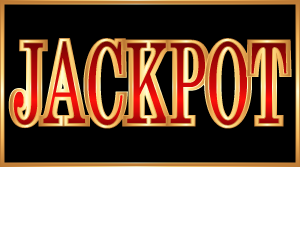 Come into the casino to see current jackpot payouts. Match Plays Double Your Win! Double your win! Visit the Casino to enroll in the All Star Player's Club. Registration is free and entitles you to free daily match play coupons and all-day Happy Hour beverage specials! Join the many players who have walked away with cash in their hands. 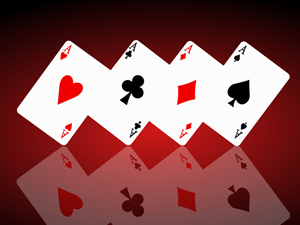 Cash awards are given daily in many table games for the player making the highest hand. With the exception of the Pai Gow low hand, a minimum of a full house is needed to qualify. During these special events, casino players have the chance to win thousands in extra cash and prize giveaways. Get the best deal! 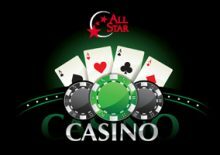 Enjoy exciting live action poker and daily tournaments in the All Star Casino Poker Room.